Case fans are supposed to cool your case. 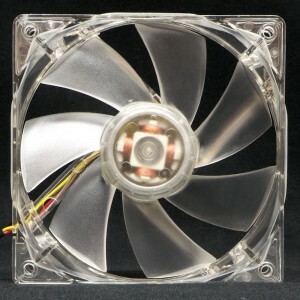 Some vendors still refer to all computer fans as “case” fans. 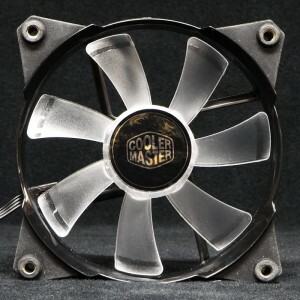 But in this review, we will use the term “case fan” to refer to a specific kind of cooling fan — a fixed speed fan designed to cool computer cases. Today we might want to call them non-PWM fans. These fans are “set ’em and forget ’em” fans (except that some of you insist on using fan controllers to vary the speeds of your fans, imagine that!). In any case (get it?) we’re going to look at 23 case fans in 33 different settings. We can’t follow the normal Introduction-Methods-Result format here because we have so many fans. So we will follow the format of our earlier roundup of fans and give a small introduction for each model of fan. After that we’ll look at the testing methods, followed by a table of specifications. Afterward we’ll cover the results and wrap up with a few conclusions. So let’s go. The Antec TrueQuiet is a fixed-speed fan with a two-position switch to make this quiet fan into an even quieter fan. The corners are cushioned with silicone rubber pads that go through the frame. Not only that, the screw holes burrow through the cushions so you have a floating frame that does a good job of isolating stray vibrations from a case. Antec does not say what kind of bearing this fan uses, but it looks like a well-sealed sleeve bearing. We’ll call it a long life sleeve (LLS). We will be testing this fan in the Low and High switch positions. 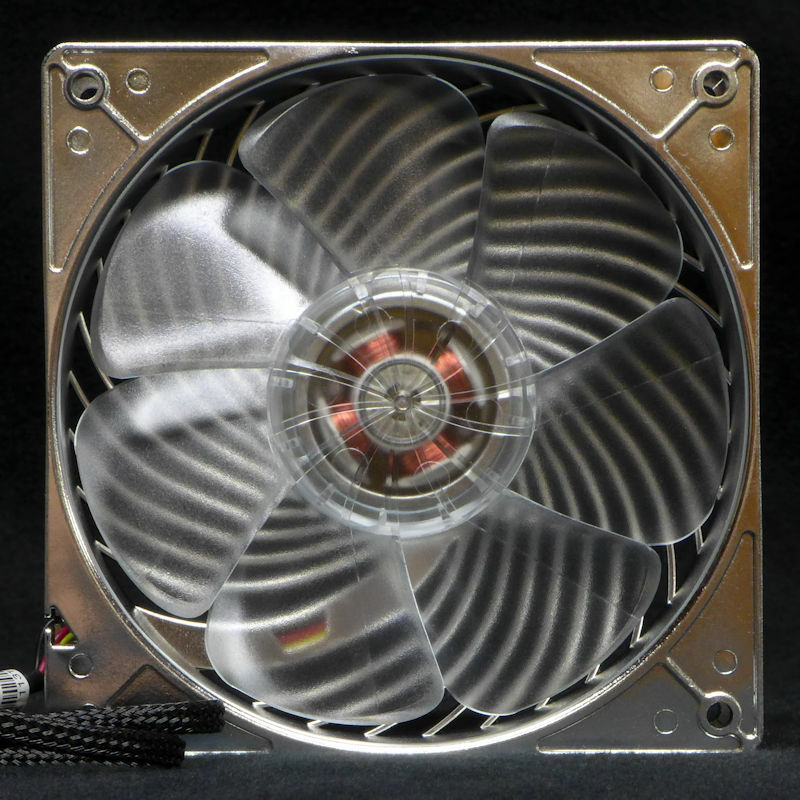 This TrueQuiet fan was provided by Antec. Now wait a minute, I hear you say. Here we’ve only gotten to our second fan and you’re already messing with us. Everyone knows that Cooler Master’s Jetflo is a PWM fan, and a powerful one at that. Well, rest at ease because I’m going to introduce you to a little-known feature of this fan: every Jetflo comes with two fixed-speed adapters. They heat up, so there’s a resistor in each one. You can still read the RPM. You just can’t change the speed unless you change the voltage. The adapters give JetFlo fans a fixed speed. That’s right, they become case fans. The nominal speeds are 1600 and 1200, but they run faster than that, as you will see. Also, the JetFlo fans come with three colors of LED’s and with no LED’s. Cooler Master provided the six fans you will see here. They are listed as having “4th generation” bearings, which utilize POM (polyoxymethylene) for a bearing surface. This is a long-lasting slippery plastic. Hence they are POM bearings in the spec table. See here for a dissection. Cooler Master has made the SickleFlow for a long time. They have Long Life Sleeve (LLS) bearings (look here to see one taken apart). Now they have added POM bearings (“4th Gen” bearings; see here) to make SickleFlow X fans. These should last longer than original SickleFlow fans. Otherwise they are unchanged. The SickleFlow and SickleFlow X fans can have a variety of LED’s or no LED’s. One of the two SickleFlow fans came from Cooler Master, the other was bought retail. The three SickleFlow X fans were provided by Cooler Master. The SickleFlow X is available outside the US, but is available in the US only on eBay. 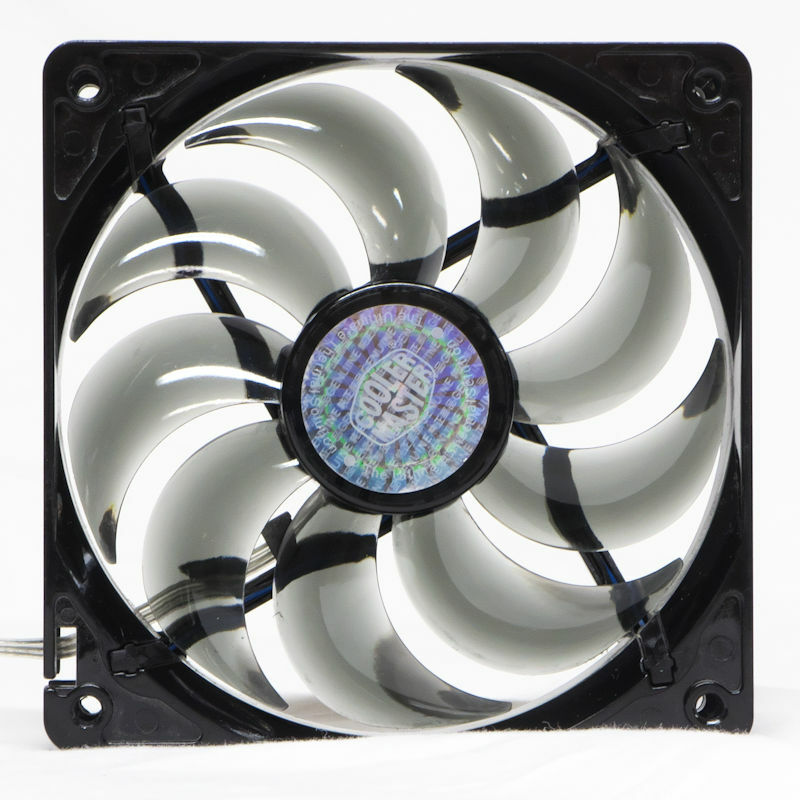 The Deepcool UF120 is a PWM fan that comes with a 7V adapter. The adapter reaches seven volts by combining the PSU’s 12V and 5V outputs so you can’t simply read off the fan’s RPM. Nor can you control it with PWM. So the adapter makes this a fixed speed fan. The Deepcool UF120 is a ball bearing fan with a frame covered in TPE, that means thermoplastic elastomer, which is designed to reduce any vibrations the fan makes. The bearings are double ball, or 2BB in the spec table. The Deepcool UF120 is still for sale. This specimen was provided by Deepcool. 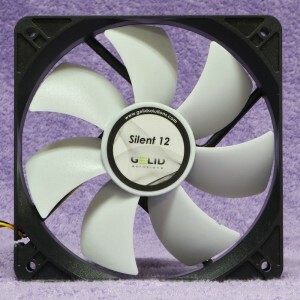 The Gelid Solutions Silent 12 fan is a fan you might not have heard about. It sports a “Hydro Dynamic” (HD) bearing, which is a non-patented improvement of the sleeve bearing. In essence, these bearings rely on the high speed rotation of the shaft to push oil between the rotating shaft and the collar, which is attached to the frame. The Fluid Dynamic Bearing (FDB) is subject to a patent, which would make the fan more expensive. So we see bearings like the HD bearing to avoid that. See here for details. The Gelid Solutions Silent 12 is available in the US. This example was purchased retail. 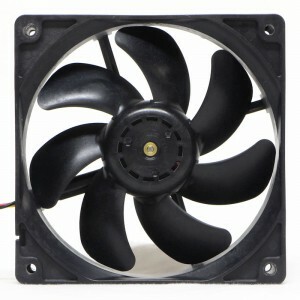 The Nexus Real Silent Basic case fan has a model number of D12SL-12, which is a Yate Loon model number. The slowest Yate Loon is 1350 RPM, but this one is rated at 1000 RPM. The Nexus Real Silent Basic has had many reviewers down through the years, but none of them mentioned clicking, which Yate Loon reviewers did sometimes mention. This suggests quiet circuitry. The fan uses a sleeve bearing, which is quiet but tends not to last as long as other bearing types. The Nexus Real Silent Basic is for sale in the US. This specimen was obtained retail. It does not click. Nidec makes motors and fans. They make a case fan series they called the Gentle Typhoon. The fan is much imitated, but seemingly no one else has gotten it quite right. Scythe used to sell a line of GT case fans, but no longer. A PWM model with a nominal maximum speed of 1850 RPM is available in the US. The nominal 2150 RPM models seen here were part of two group buys. Four are fixed speed fans and one is PWM. These fans use ball bearings (2BB). 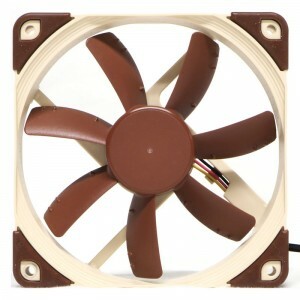 The NF-S12A is Noctua’s third stab at making a case fan. The first was the NF-S12, followed by the NF-S12B, which you can still get in their redux line. The NF-S12A is available in top of the line packaging with a full panoply of accessories. It uses an SSO2 bearing (Self-Stabilizing Oil-pressure bearing, type 2) which is one of Noctua’s proprietary versions of the FDB. You can get ULN (Ultra Low Noise), FLX (three-speed), and PWM types. Here we look at the ULN and the FLX models, with one speed-reducing adapter for the ULN and two for the FLX. These adapters include resistors, but they don’t get very hot under their sleeving, a testament to the low draw of the fans. The NF-S12A is available in the US. Noctua provided the pairs reviewed here. The Rosewill Hyperborea is the 120 mm cousin of the 140 mm fan we met in reviews here and here. 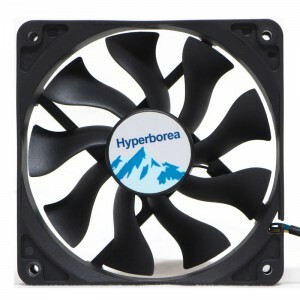 The Rosewill Hyperborea is a PWM fan, but with a nominal speed of 1300 RPM you could say that Rosewill is positioning the Hyperboreas to be case fans as well as rad fans and heatsink fans (HSF’s). So they were included in testing here. The Hyperborea uses a hydrodynamic (HD) bearing. Rosewill is a house brand for Newegg. 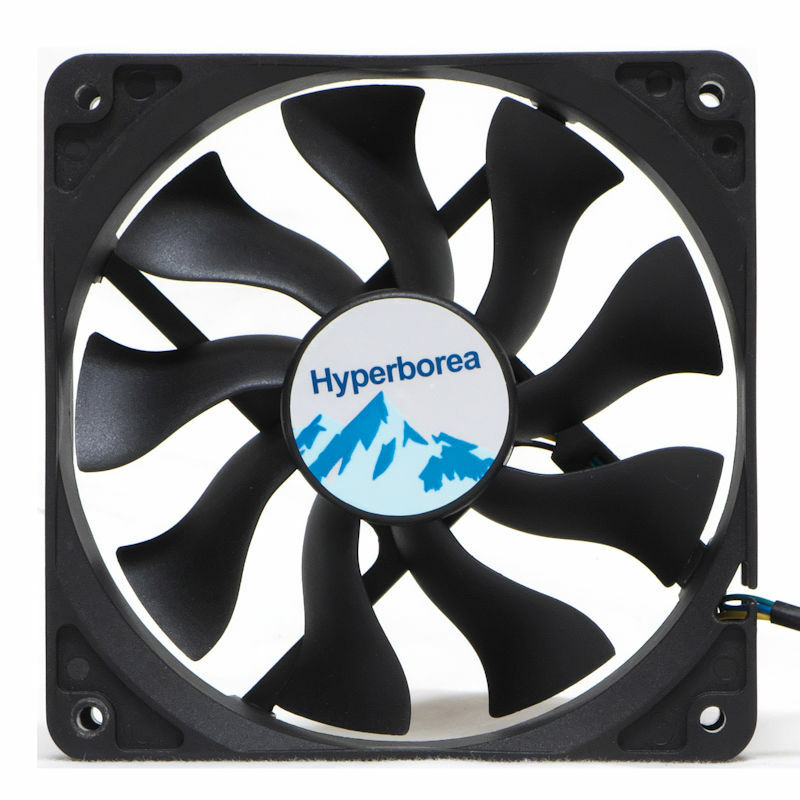 The Hyperborea fans are available in the US at Newegg and at other merchants. The pair we will review here were bought retail. 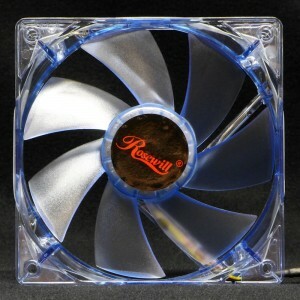 Rosewill’s RFA-120 is an inexpensive sleeve bearing case fan available both at Newegg and at other merchants. The RFA-120 comes with a variety of LED’s or no LED’s. If you see letters tacked on to the end of model numbers for this fan, they refer to the colors of the LED’s. This fan was obtained retail. 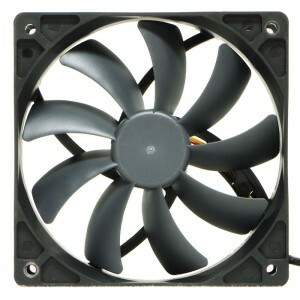 The Rosewill RFX-120 is a ball bearing (2BB) case fan that usually comes packaged with a single-line fan controller. The controller is limited to 7 watts. Once I was using one to control a vastly more powerful fan and the controller caught fire. So best to limit the controller to one moderate fan. The controller is very simple, you put it in line with the fan. So you will see H, L, and 12V in the chart below. The H stands for the fan plugged into the controller with the controller dialed up to the max. The L means it was dialed down to minimum. 12V means the fan was plugged into the PSU directly. The pair of RFX-120 fans were obtained retail. As previously explained, San Ace is made by Sanyo Denki. The 9S, or “Silent” line of case fans runs at settings of L (Low), M (Medium), F (Fast), and H (High). 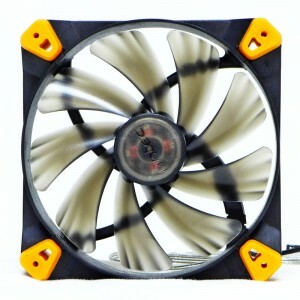 The M fans here are actually PWM, but the specs are the same so they were used to test their performance as case fans. They are all ball bearing fans (2BB), and all but the M’s are fixed speed fans. Until recently Seasonic used this type of fan in their PSU’s, to assure reliability. All of the San Ace fans were obtained at retail. Note, if you are thinking of getting these fans, you must crimp terminals to the wires and then insert them into plug housings. They ship with bare lead wires. If this is your idea of fun, these fans provide plenty of fun. This is Scythe’s ball bearing version of their famous Kaze Jyuni or Slip Stream case fans. These are the fans we last saw here. 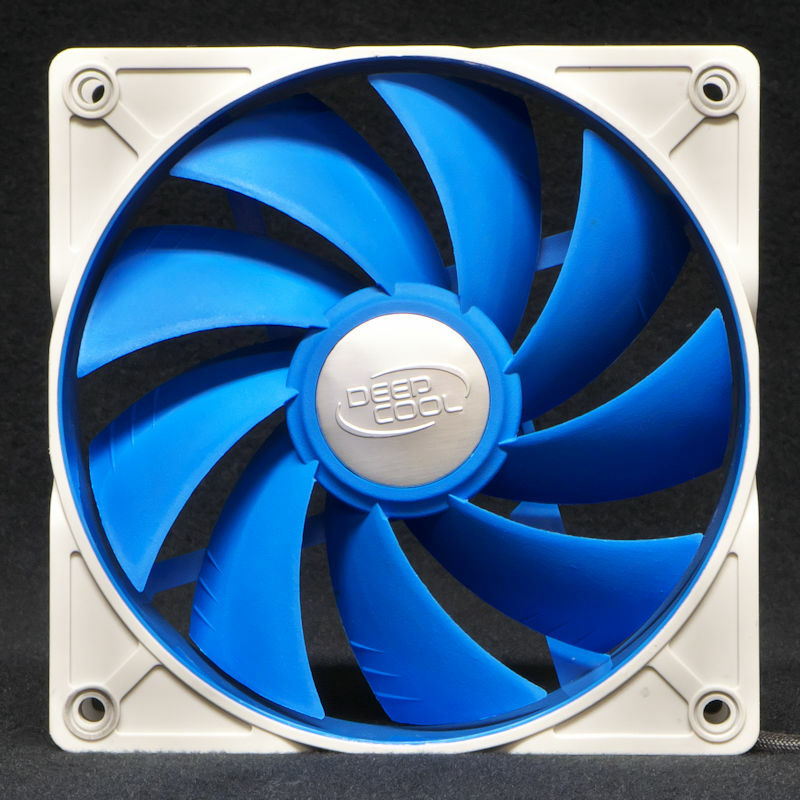 The Slip Stream fans were designed from the first to be case fans but they have proven remarkably good on rads and heatsinks. With double ball bearings (2BB), their reliability is improved enormously. So you can use these in a case, on a heatsink, or on a rad. The six models are SL (Super Low), L (Low), M (Medium), H (High), SH (Super High), and PWM (Pulse Width Modulation). This set of fans was tested again because the old anemometer died. So all fans were re-tested with the new anemometer. The really nice feature of the Scythe Slip Stream is one of the accessories: their Molex adapter has an RPM-reporting line. So I’m always using these adapters. The whole collection was provided by Scythe. 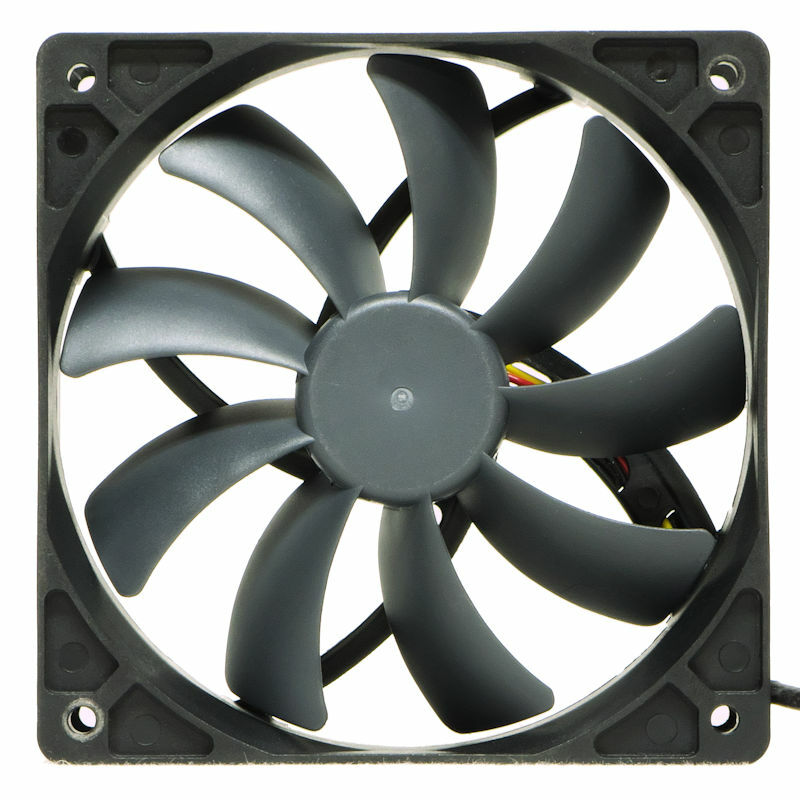 The Silverstone AP121-L is one of the Air Penetrator fans. This means each case fan must have excellent static pressure to push air past the network of spiral vanes. We saw the AP141 here. The AP121-L shares with the AP121 a set of very broad blades, broad to the point of overlapping. The fan comes with a tri-voltage adapter, so you will see the fan at 12V, 7V, and 5V. Because the 7V source obtains its voltage by connecting the 5V and the 12V lines of the Molex adapter, the speed could not be obtained. The fans come with four colors of LED’s. The Silverstone AP121-L uses a fluid dynamic bearing (FDB). Yes, they pay for the FDB patent. The pair of AP121-L fans were bought at retail. These fans were assessed for how fast they spun, how much noise they made, how much air they could pull through a dust filter, and how much air they could push when unencumbered by any obstacles. In other words, whatever else they can do, each was tested to see how it would perform as a case fan. First the fans were placed on a test stand where their free air RPM was observed. Then the fans’ noise was assessed. The standard proxy for what you can hear is the Sound Pressure Level (SPL), measured in decibels and given a type A weighting (dBA). A silent room is about 30 dBA. The ambient noise for the current testing was a silent basement measured at 30 dBA. To measure noise levels softer than 30 dBA the sound pressure level was measured 10 cm from each fan. The sound pressure level for each case fan was adjusted to 1 meter by subtracting 20 dB. The sound pressure meter is a Tenma 72-942. This fan tester has a microphone that is not accurate under 30 dBA. This means an adjusted measurement of 10 to 15 dBA is not accurate; the fan could easily be quieter than that. Unfortunately this is the limit of all but the most expensive SPL meters. Next, the airflow was assessed for each case fan using a standard measure of cubic feet per minute, or CFM. The air entered a sealed 8″ x 8″ x 8″ box where it was allowed to mix. It would leave the box through an exhaust port, where it was measured with the vane head of an Extech AN100 anemometer, which averaged 10 readings per fan setting. Each case fan drew air through a standard metal mesh dust filter. The airflow was measured. Then the filter was turned aside and the airflow was measured without obstructions. The picture below illustrates the testing devices. 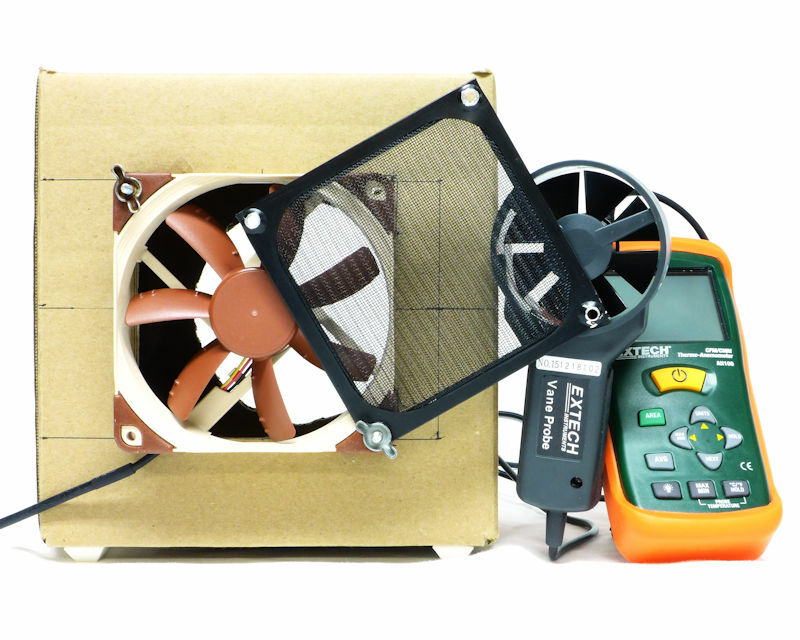 On the left is the case fan mounted on an airflow-measuring box. We can see the generic metal mesh dust filter is half turned away from the airflow. The vane head is next, followed by the body of the anemometer. Because the anemometer is one of the less expensive kinds, it has not been calibrated. For that reason, the results are relative; they can only be compared with each other. The fan results cannot be compared to those of other studies, unless it is one I did that was published here in July 2016 or later. The other caveat is to understand that these readings are approximate. Don’t sweat a couple of decibels, or a few CFM. This ain’t the proverbial rocket science here. When you cool a case, most likely you care most about how much air a case fan pulls through a dust filter. The dark blue stripe running down the middle of the chart represents the amount of air the various fans pull through the dust filter. As a general rule, the Slip Streams were a little quieter than fans with approximately the same output. 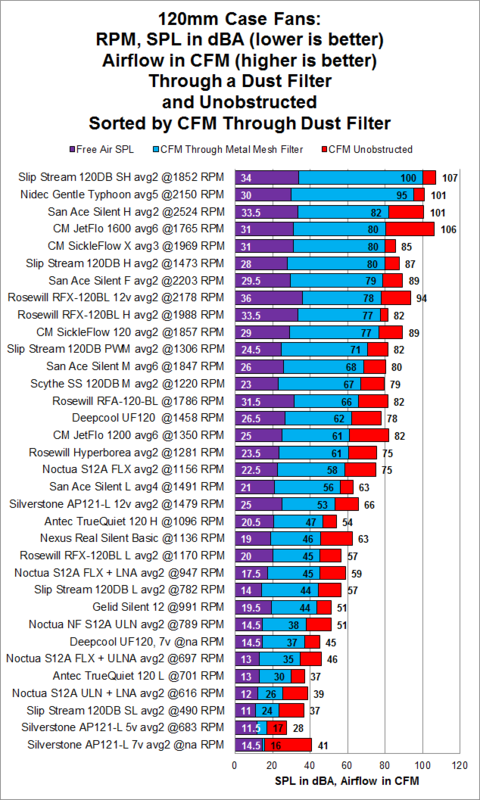 The Jetflo with the 1600 RPM adapter did pretty well against the competition, as did the SickleFlow X. Most fans showed average results; a few were louder than their peers. 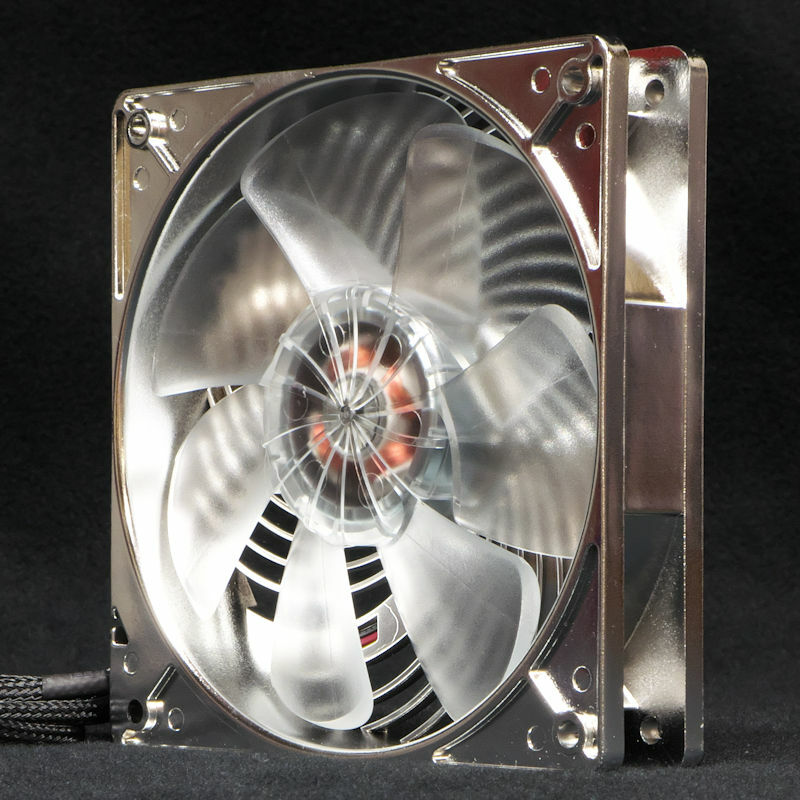 These are case fans. They shine in situations where they meet little resistance. 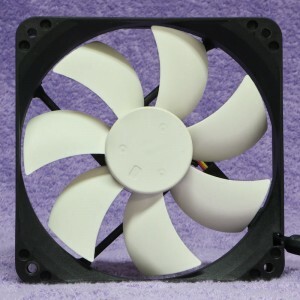 To see where 120mm fans must fight against resistance, see the 120 mm PWM fan roundup, where fans are compared in how they do pushing through a 30 FPI radiator. The Rosewill Hyperborea is quite the surprise there! Too bad there aren't LED versions it seems. Cheaper than the Noctua next to it, and the CM Jetflo and its hanging right there with them. Interesting! Would have liked to see the Arctic F12 on this review. I know i know, theres no winning with review roundups lol. Thanks Ed, this is one part often overlooked. The Arctic 12 that I have is a PWM fan. I tested it in this review. I don't have a fixed-speed Arctic F12, so I could not include it in this review. Oh dang. I coulda swore it was a 3pin fan. woops. Thanks. Maybe yours was. I know the F12 is available as a 3-pin. I just bought the PWM.